MORE ALLRED! The superstar artist enters the 13th Dimension for the month of May (and beyond!) 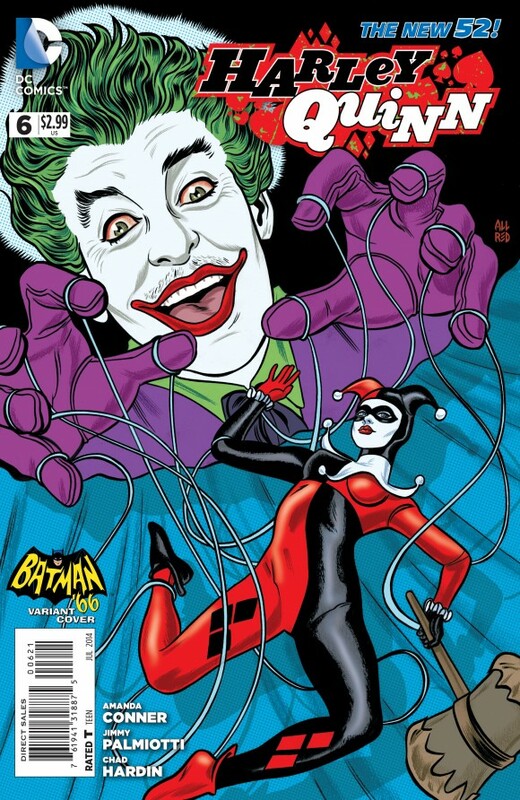 to offer EXCLUSIVE commentary on every one of his BATMAN ’66-themed variant covers for DC. Miss the first two weeks? Shame on you! But you can catch up here and here! 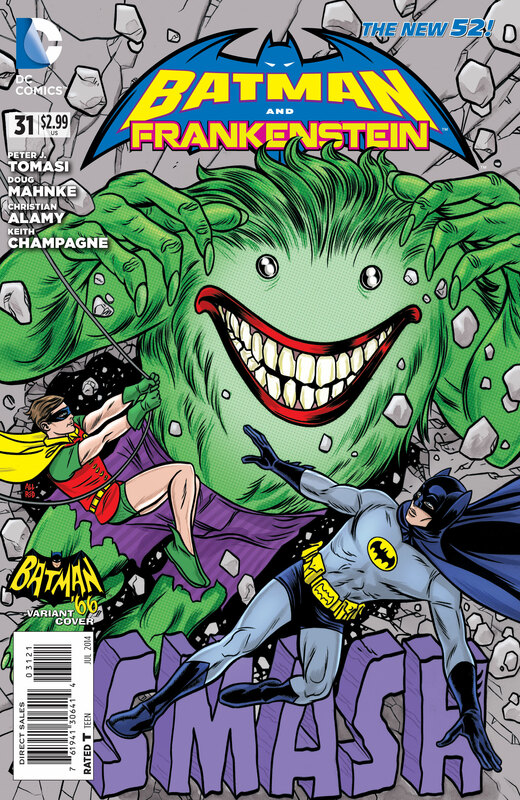 BATMAN AND FRANKENSTEIN #31. 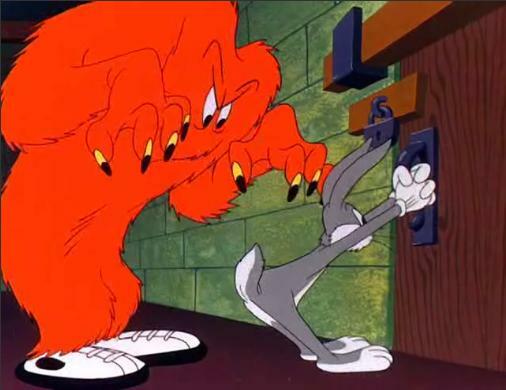 I’m a big Looney Tunes fan, and happened to be watching “Hair-Raising Hare” for the umpteenth time and started daydreaming about the Joker turning into a big hairy monster. This was originally to be used for Batman and Robin, the monster aspect of it made it a nice first for Batman and Frankenstein. BATWOMAN #31.The EC Comics library has made a lifelong impact on me, and EC artist Johnny Craig is one of my biggest influences. 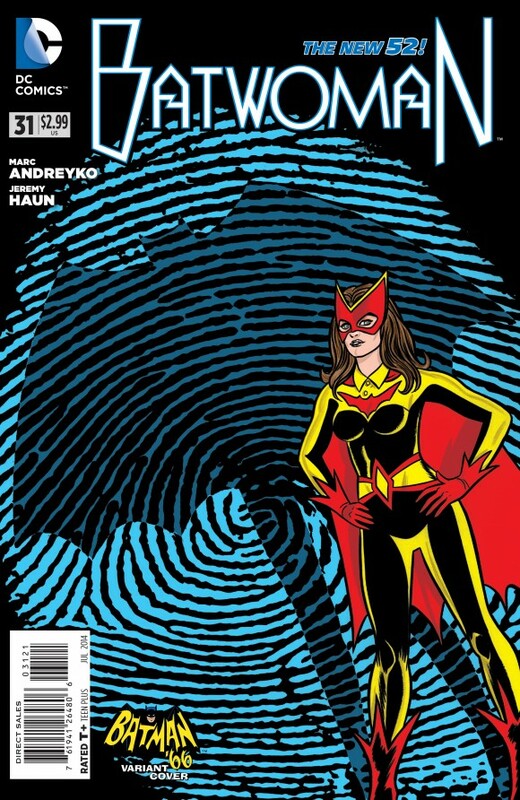 He’d done a big splash page with a fingerprint, and for some reason that came to mind when wanting to put the “old school Batwoman” in a spotlight, a classic vignette for Batman. Harley Quinn #6.This was a no-brainer. The Cesar Romero Joker pulling Harley Quinn’s strings. Done. 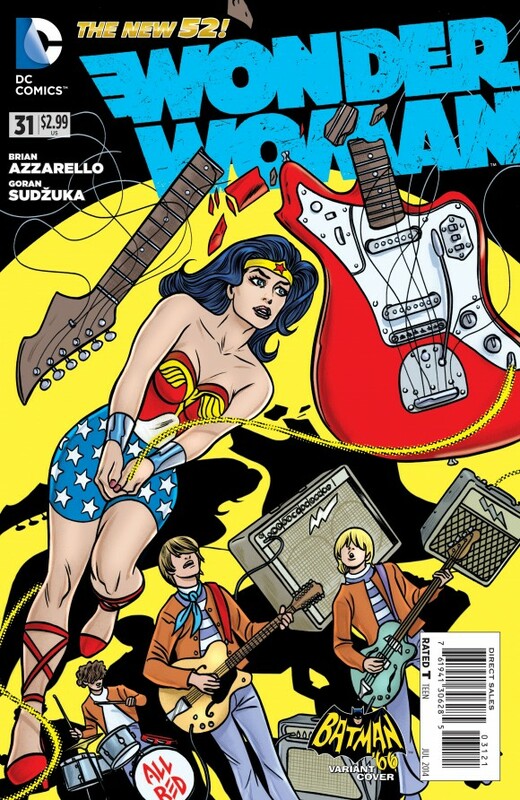 WONDER WOMAN #31.Mark Chiarello (one of my favorite human beings on this planet) threw this idea at me. He wanted some kind of ’60s band. So, why not let Wonder Woman play too.